You know the story of the tortoise and the hare, right? The speedy rabbit bursts ahead, leaving the plodding reptile in the dust. But in the middle of the race, the rabbit gets cocky and takes a nice nap. He wakes up too late, and rushes towards the finish just in time to see the slow but steady tortoise crossing the finish line. 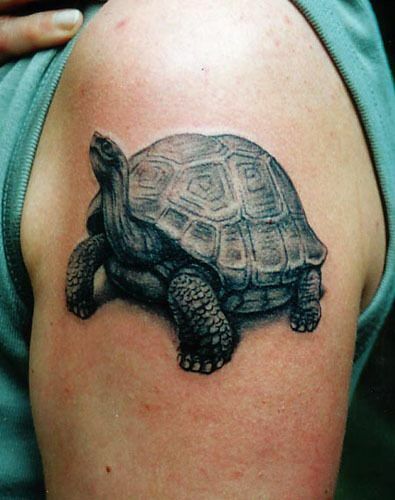 The document review industry might as well tattoo a turtle on their neck. Because they work just like the tortoise in the story. They get a huge team of slow but steady contract attorneys into a room. Then bill like crazy as they build up the hours. It’s great for contract agencies, of course. And terrible for the clients who pay out the nose. And terrible for law firms that miss production deadlines. Or for firms that have to throw huge amounts of reviewers onto a last-minute team. Even worse, some contact agencies make lazy turtles. Just like the proverbial rabbit, these document review contractors will lay down in the middle of the race to take a nap. They watch videos on their phones 6 hours a day. They fall asleep at the computer. They intentionally sit on documents, pacing themselves to string out the work. Their single goal is to bill as many hours as possible without getting fired. People in the document review field know why this is true. Attorneys aren’t treated with respect. The agencies encourage slow work with a wink and a nod. Harder work gets no reward, or even negative feedback. Is it any surprise they end up with a team of unmotivated document reviewer turtles? And they are not just slow; they are slow AND unsteady. I always wondered about the moral of that old fable. In my mind, it was better to be a Hare than a Tortoise. The rabbit was absolutely capable of winning. The Hare didn’t collapse in exhaustion halfway through. If he really wanted to win, he could have gone fast, slowed down a little to catch his breath, then hopped his way over the finish time with time to spare. He was just overconfident and did not work hard enough to win. In today’s rapidly changing legal environment, there is no time for slow and steady. We need fast and steady. And to get the work done better than turtles, we need rabbits. Nothing is stopping us from becoming “Fast and Steady”. Someone who hikes 26.2 miles might get it done in a few days. They are slow but steady. A marathon runner can go that same distance in two hours, one minute, and 39 seconds. The marathon runner could hang out at a hotel drinking piña coladas for a night and a day before the hiker strolled in. Marathon runners are Fast and Steady. Of course it takes a lot of work to be a marathon runner. You have to train. You have to be in shape. And you have to motivated. Our Discovery Associates are a team of Steady Hares. We have friendly competitions to see who can finish the best work in the shortest time. We work as a team to share our knowledge. We use as much technology as possible to improve our efficiency. We double, triple, and quadruple quality check our review. It seems crazy, but it is true. A single team of dedicated professionals can outperform a warehouse filled with random reviewers. Even on reviews with seven-figure document counts. Even on reviews with privilege logs and substantive review memoranda. Even in complex litigation involving issues such as patents, antitrust, pharmaceutical, and government agency contracting disputes. A smart professional knows you always hire a steady tortoise over a lazy rabbit. But the truly savvy know you don’t need a bunch of turtles. To win in a competitive legal field, get a team of Steady Hares.